How wonderful it is to receive a letter. Can you remember the feeling? Knowing that someone has been thinking of you, wants to share exciting news or just ask how you’re going. When a person has taken time out of the day to sit down and pen a letter, determined to communicate with only you, what a lift it gives you. When was the last time you wrote a letter? It’s probably been a while. Such a considered task takes more time and care than your average email or text message. Over the years, letters have succumbed to advances in communications, pushed out of the way for more expedient methods. But the power of the pen remains. On May 28, 1961, London lawyer Peter Benenson wrote an article in The Observer entitled “The Forgotten Prisoners”. He described several cases of human rights breaches, centred around freedom of expression, opinion and religion. He called those detained for these reasons prisoners of conscience and said publicity was “the most rapid way of bringing relief” to those individuals. This was the beginning of Amnesty International. Letter-writing has always been at the core of its campaigning. What began as a group of lawyers, publishers and writers sharing Voltaire’s ethos, “I detest your views, but am prepared to die for your right to express them”, grew into a global human rights movement. Today, Amnesty International is present in over 150 countries, working to protect and promote the human rights of all. In 2003, a 24-hour marathon letter-writing event was held in Warsaw, Poland, and Write for Rights was born. Witek Hebanowski was a group coordinator of Amnesty in Poland when he met Joanna. She had just been in South Africa and witnessed 24-hour protest events aimed at protecting human rights. They thought the same could work for Amnesty. Write for Rights is now an annual, global letter-writing campaign. The premise is simple. Activists are asked to write two letters. One to a human rights defender in support of their fight, and another to an authority figure who can make change happen. The campaign features 10 individuals each year. The letters can have powerful effects. In 2016, American Albert Woodfox was released from solitary confinement after nearly 44 years. “I can’t emphasise enough how important getting letters from people around the world is. It gave me a sense of worth. It gave me strength,” he said upon his release. He had been featured in the 2015 Write for Rights campaign. So too was whistleblower Chelsea Manning – over a quarter of a million people wrote in support of her release. She said, “I wish I had the time and ability to thank each one of you for giving me a little bit of joy with each letter and card.” She was released from jail in May 2017. Telling the stories of each individual is a hallmark of Amnesty campaigns. It began when Amnesty did, with the publication of the Penguin Special Book, Persecution 1961. This year, four female human rights defenders are a particular focus for the Australian Write for Rights campaign. Nonhle is fighting for her ancestral rights on the Eastern Cape of South Africa, where Australian mining company Mineral Commodities wants to mine the land. Other activists opposed to the mine have been killed and Nonhle faces ongoing intimidation and harassment for her protest of the mine. She moves around frequently, going in and out of hiding. There are times she needs bodyguard protection. Around 5,000 people would be forced from their homes if the mine went ahead. 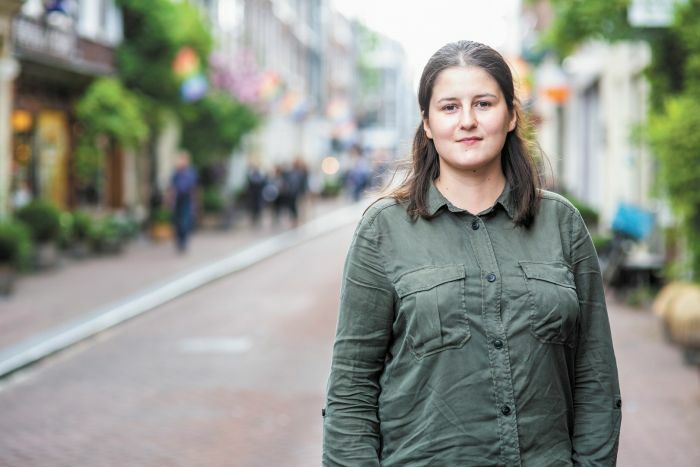 Vitalina is supporter of LGBTI and women’s rights in her home country Ukraine, creating safe groups and spaces for people to meet. In 2017 she attended a march for International Women’s Day where she and other protestors were attacked. On the assurance of safety from the police, Vitalina returned to the march this year. She was attacked again. This time red paint was thrown on her leaving chemical burns on her face. Luckily her eyes were not damaged. Both attacks were reported to police. No action was taken. This year’s offenders were detained for a couple of hours before being released with a small fine. Vitalina wants her experience to be treated as a hate crime to prevent against further attacks. 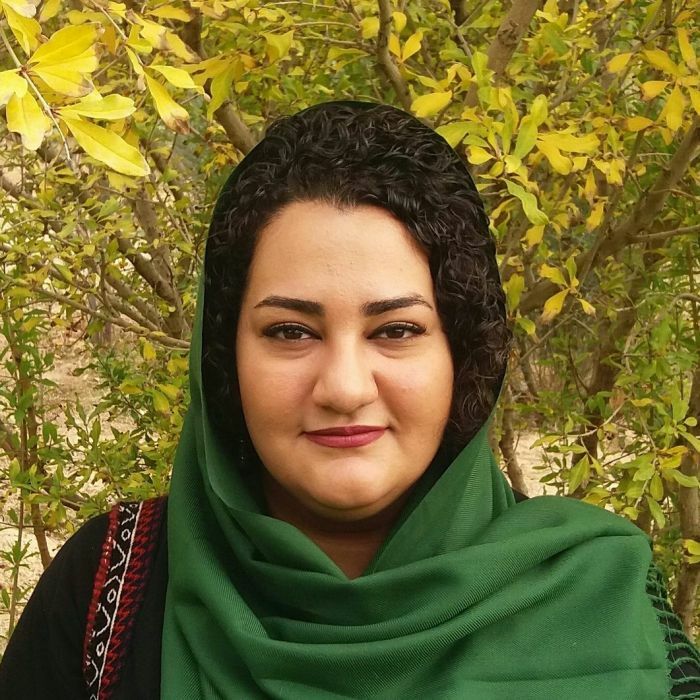 Atena is currently serving a prison sentence of seven years for protesting against the death penalty in Iran. She has been charged with “gathering and colluding to commit crimes against national security.” Her only crime is creating awareness about the death penalty and calling for its reversal through peaceful means. Critical posts on social media, handing out leaflets and organising peaceful protests were considered part of her crime. While in jail she has been beaten, pepper-sprayed and held in solitary confinement. She and two other political prisoners were arbitrarily deprived of family visits in September. Despite this, Atena has continued to protest her false imprisonment, conducting a hunger strike earlier in the year. A Redfern Write for Rights event is being held on Sunday November, 25 at Redfern Town Hall. The event will run from 10am-4pm so come whenever throughout the day! Light refreshments will be provided. There will also be a Women’s Rights speakers panel from 11.30am-12.30pm. Write for Rights goes until the end of January 2019. If you can spare some time to show support for Nonhle, Vitalina and Atena, head to www.amnesty.org.au for more information about other events near you. If the idea of sitting down to write a letter is daunting, you can add your voice by signing an online petition, sharing an action on Facebook or tweeting your support. Write for Rights is about standing in solidarity with human rights defenders, and letting them know they are not alone. Write a letter, change a life.